For the last few years D and I have gone to our friends annual Superbowl party. Since they recently moved to Houston we were left with out Superbowl plans for the first time in a long time. A few days before Sunday D decided we would have a few people over for game time. I started planning yummy treats right away to go along with Derek's queso dip and famous meatballs. Here is what I came up with. 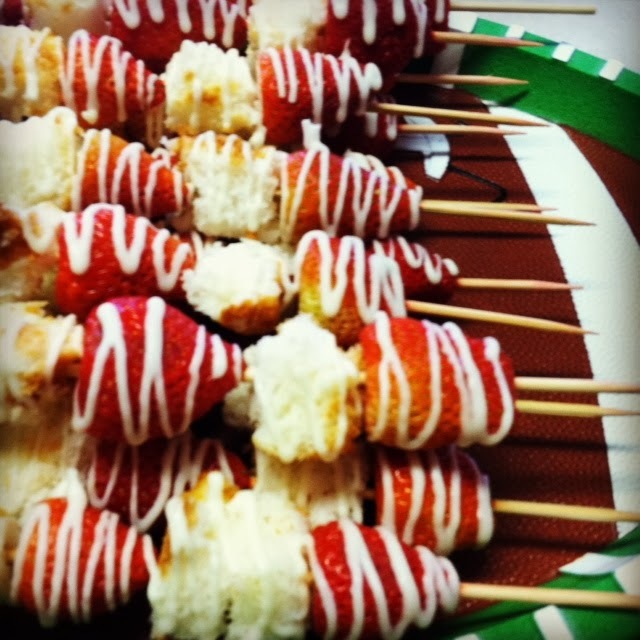 Strawberry Angel Food Cake Kabobs: I wasn't sure about this little treat at first but by the end of the night there wasn't a single kabob left! I bought a mix for Angle Food Cake that was super easy to make, just add water! My kind of cake mix. Step 1) Cut the angel food cake into cubes. 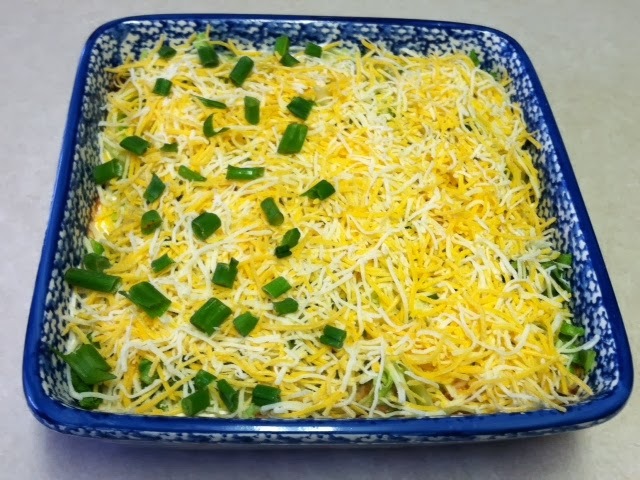 Seven Layer Dip: Notice the green onions are only on half? My husband does not have a love for onions like I do. Ingredients-Layer one on top of each other in this order. 1) Cream Cheese-Mix one block of softened cream cheese with one packet of taco seasoning. Chill until game time. Boom, best appetizer ever. 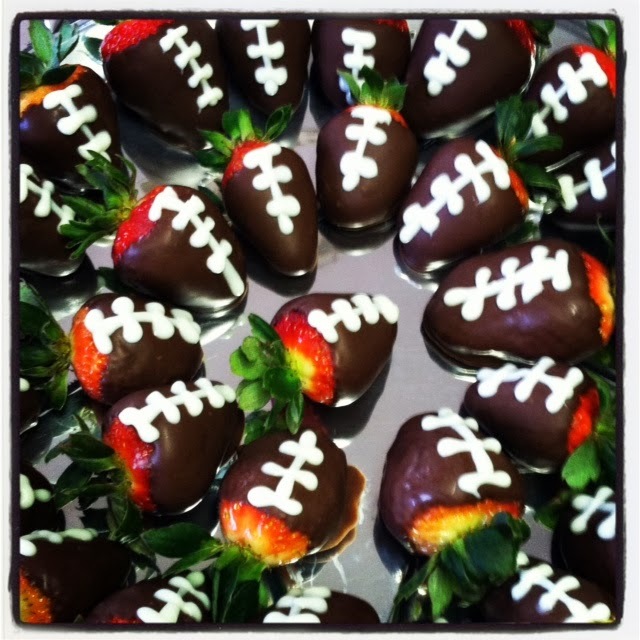 Football Strawberries: A twist on my usual strawberry making technique shown here. After the chocolate cooled, I melted white chocolate the same way and squeezed on football laces using my decorating squeeze bottles.